Did someone say lashes?? 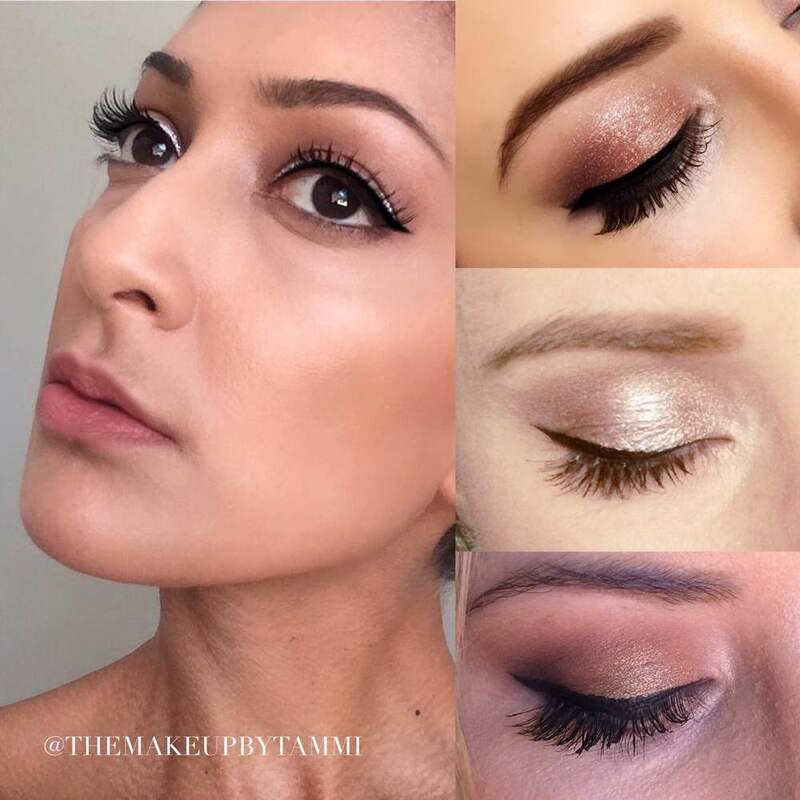 The easiest way to add some sparkle to your festive face is to pop on some falsies! I'm wearing Ardell lashes from their accent range. For a more natural look, go for the individual or Amazing Shine's tri lashes rather than a full strip lash. When you apply lashes be sure to use a fail-safe glue like Duo glue so you don't end up with caterpillar face later in the day! The trick with applying lashes is let the glue dry slightly, applying when it's just tacky to touch. Strip lashes: Look down, place them on the middle of your lash line (above the lash), and press each end down. Individual lashes: Attach each lash onto the top of your natural lash. Let set for a couple of minutes and then press together with your natural lashes. If you're applying a full strip, here's where you gently coat your mascara. If you are using individuals do your mascara first, so as not to disturb the lashes. Newer Post#Skinfit2016 | It's your year to shine!